A directory of valued local businesses, all of them personally known to us and highly recommended. 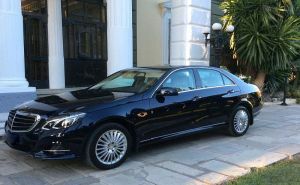 Whether you are visiting Corfu for a day, a week or longer, you shouldn't miss the chance to see more of this beautiful island - and what better way to do it than in the company of one of our experienced, professionally qualified drivers, in one of our new, top of the range Mercedes limousines and Vianos. 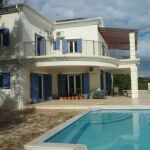 A licensed, experienced Corfu estate agency, covering every aspect of sales and rental of property in Corfu with properties in every area, and in every price range. 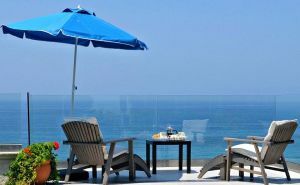 Houses for sale and renovation, commercial investment opportunities, apartments, beach villas and land. 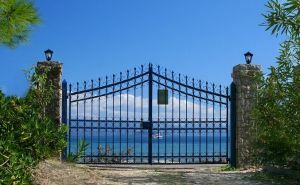 A selection of some of the most prestigious and interesting properties available for sale in Corfu. Chosen because they stand out from the crowd - either for their location, their build-quality, their views, or something indescribable that cannot be ignored. 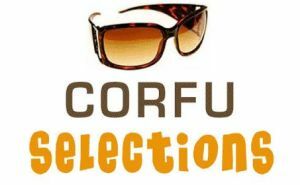 Specialises in budget holidays and promotes small family-run businesses, putting them in touch with independent travellers who would like "A taste of Corfu" in a market where larger hotels and all-inclusive packages have become the main focus of large tour operators. 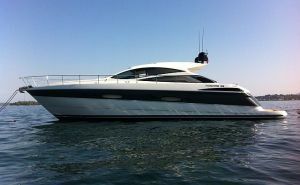 Transfers to and from Corfu Airport, Corfu Ferry Terminal, Corfu Marina, or from mainland Greece. 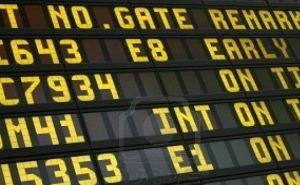 Whatever the time of day or night you can rely on Corfu Transfers to be there and their services are available all year round. A variety of sizes and types of villas and apartments, at prices to suit all budgets. All owned by the company who make all the reservations. They are always around for any information you might need, but don't intrude - just provide the service and leave you free to enjoy your holiday villa. 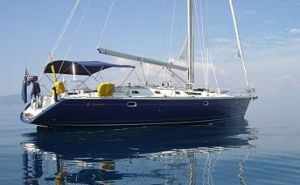 Corfu Yacht Brokers is based at Gouvia Marina on the island of Corfu, Greece and specialises in the sale of exclusive yachts. Specialises in summer and winter accommodation; discount tickets; car and bike hire; and excursions. A hire car will help you find the quieter, more remote beaches, traditional mountain villages and stunning panoramic views. Helga Holidays provide carefree rental with a personal service and a large selection of new, air-conditioned cars. Pre-order and hire your holiday extras online or by calling us. 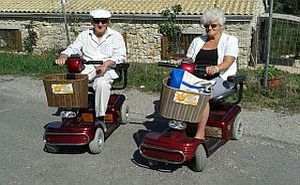 We can supply your holiday mobility needs with items including electric scooters, wheelchairs, etc. 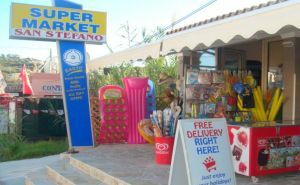 and baby items including cots, pushchairs etc - all of which can be delivered to your accommodation anywhere in Corfu. Dedicated to the arts and especially the support of activities that have an interaction between people and the audiovisual arts. The foundations of Monopolis Productions are diligence and the management of activities that offer safety and respect for both creators and their work. 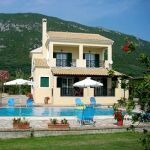 Offers some of the cheapest deals on holiday accommodation as well as providing other competitively priced services in Corfu and Paxos such as cruises, excursions, tickets, transfers and car hire. English owned and operated. 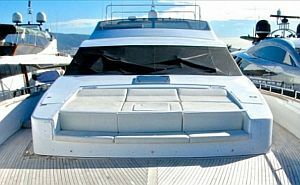 Aiming to offer the highest level of service to buyers and sellers of pre-owned yachts by only representing boats for sale that have been personally inspected. Free delivery throughout the resort plus you can now order your first grocery pack online ahead of your arrival! Conveniently located on the main road in the centre of the village and open every day from 8.00 in the morning to midnight from April to October( including Sundays). Supernautica has been handling yacht care, repair and maintenance for more than 15 years. and their highly specialised staff offer a thoroughly reliable service, providing full support and cost effective solutions in the shortest time. 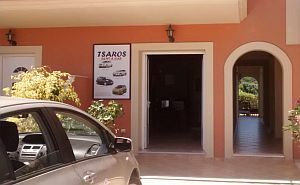 Tsaros Rent-a-Car offers a selection of new, air conditioned cars at very competitive prices, combined with attentive personal service. 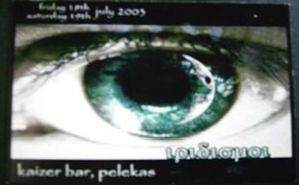 Based in San Stefanos they cover the north and north-west of Corfu including the resorts of Roda,, Sidari, Arillas, San Stefanos, St Georges and Paleokastritsa.